If you’re a regular visitor to The Little Kitchen, do you notice the new digs? I’m really excited that Lindsay of Purr Design designed the new look for TLK! The Recipes section makes it a lot easier to find recipes here, the Cakes page looks a lot better and I have added more to the About page. I might still need to do some rearranging here but for the most part, we’re all moved into our new design. Would love to hear what you think and thank you for visiting The Little Kitchen! Seriously, the most amazing grilled chicken sandwich ever! 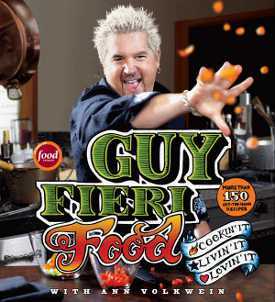 I recently received Guy Fieri’s new cookbook in the mail, it’s called Guy Fieri Food: Cookin’ It, Livin’ It, Lovin’ It. I’m going to have to be honest with you, I flipped through it and then put it down. My husband however, picked it up, flipped through it and bookmarked the page for the Red Rocker Margarita Chicken recipe and then persuaded me over several weeks to make it. Well, I’m glad I did. This is one moment I can say, honey, you were right with a straight face. The book is huge, it’s over 400 pages long with over 150 recipes. Guy laces different stories with each recipe, which makes it kind of neat. 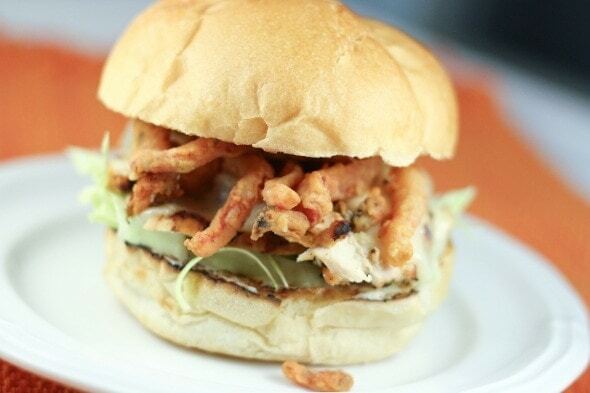 The Red Rocker Margarita Chicken is a sandwich inspired by Sammy Hagar, I think that’s really cool! I love the show Diners, Drive-Ins & Dives but I really thought this book wouldn’t be my kind of thing but I was wrong. There are some other dishes I want to try in the book including Chicken & Seafood Paella, Steak Diane and Fire-Roasted Shrimp Cocktail. 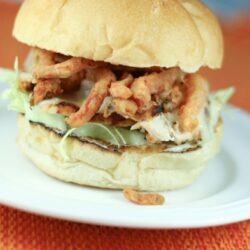 This tequila marinated chicken sandwich is an easy dish to make. Marinate the chicken in the seasonings, cilantro, roasted red bell peppers, tequila, etc. for 4-8 hours and you end up with a very moist grilled chicken. 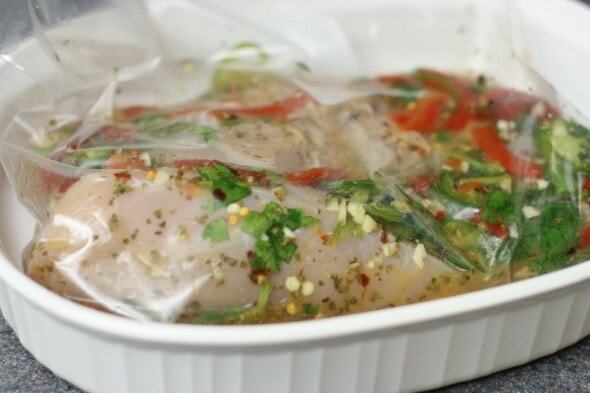 I placed the zippered plastic bag in a casserole dish before adding the marinade. I put the bag in a casserole dish to be cautious, just in case the bag leaked or just in case I spilled the marinade. The marinade smelled so good! This is the first time I cooked with tequila and it won’t be the last! 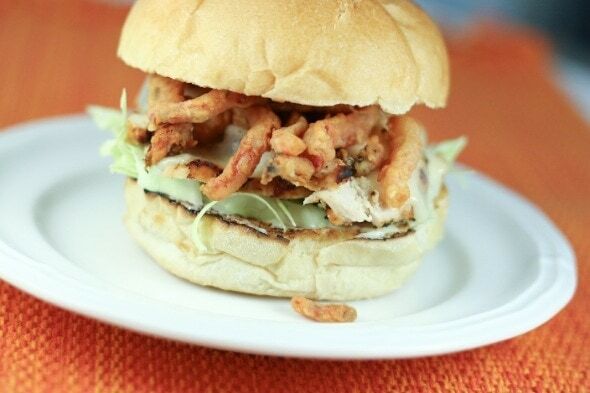 The chicken is very moist and the pop of flavor from the fried roasted red peppers makes this sandwich a winner! I can’t wait to make this tequila-marinated grilled chicken sandwich again! The flavorful marinade and the fried roasted red peppers were so good! I got yelled at for eating too many of the fried roasted red peppers before we put our sandwiches together. They are addictive, the tequila flavor popped in your mouth when you bit into it. Have you cooked with tequila before? I want to hear all about it if you have. In a medium bowl, combine the jalapenos, cilantro, tequila, minced garlic, chili flakes, cumin, oregano, lime juice and 1 tsp of salt. 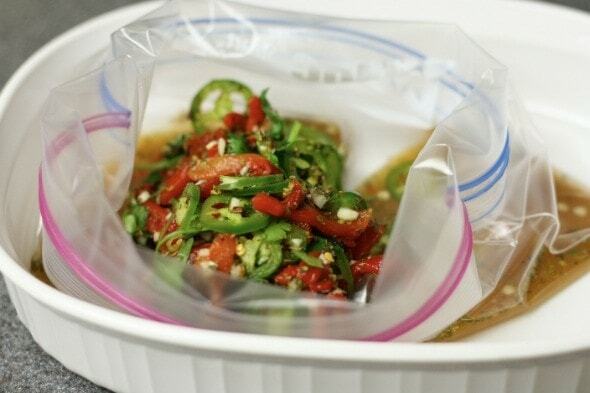 Place the chicken and bell peppers in a resealable 1-gallon plastic bag and pour in the marinade. 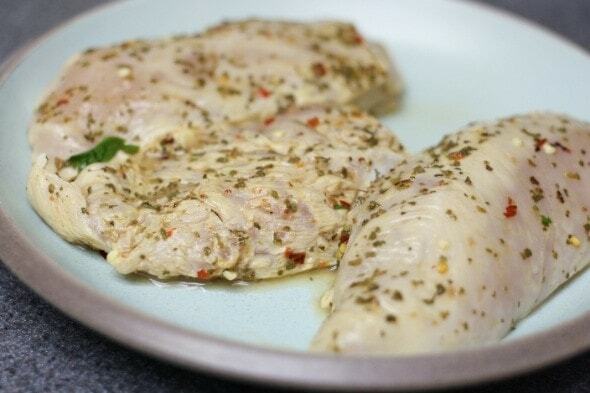 Marinate the chicken in the refrigerator for 4 to 8 hours. 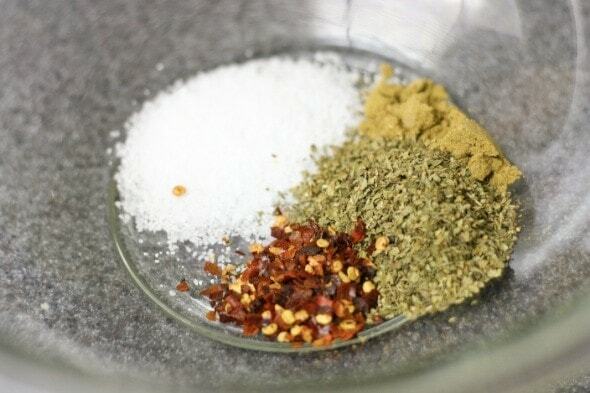 In a small mixing bowl, combine the flour, the remaining 1 tsp salt and the granulated garlic. Preheat a grill to high. In a medium heavy-bottomed pot, heat the canola oil to 350 degrees F.
Remove the chicken from the marinade. (Leave the roasted red peppers in the marinade.) Grill the chicken until cooked through, turning several times to prevent burning, about 12 minutes in all. Cover the cooked chicken and let sit for 5 minutes. Thinly slice the chicken across the grain. Remove the roasted peppers from the marinade, dredge them in the flour mixture, and fry in the oil until crispy, 2 to 3 minutes, working in batches as needed. Drain on paper towels. Split and lightly toast the rolls. Spread mayonnaise on the bottom halves. Stack each roll evenly with the cabbage, onion, chicken breast, fried peppers and cheese. 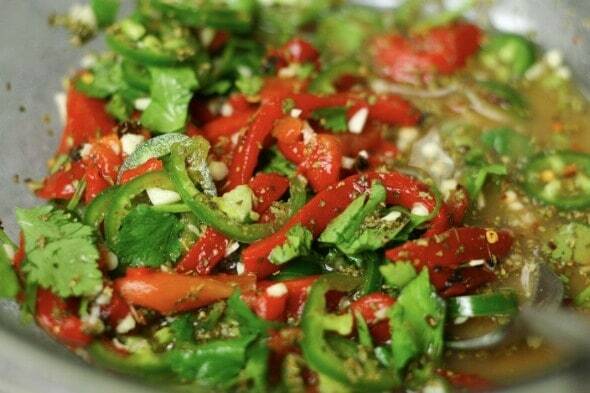 *Roast bell peppers over an open flame or under the broiler, turning to char on all sides. Skin and seed them. I cheated a little and used jarred roasted red bell peppers. We toasted the kaiser rolls on the grill just for a minute or two on each side so they didn't burn. From Guy Fieri Food: Cookin' It, Livin' It, Lovin' It by Guy Fieri, 2011. Reprinted with permission from William Morrow (an Imprint of Harper Collins). Disclosure: I received a copy of the book from the publisher. I was not asked to post about it but after making this dish, I just had to! There are affiliate links in this post.